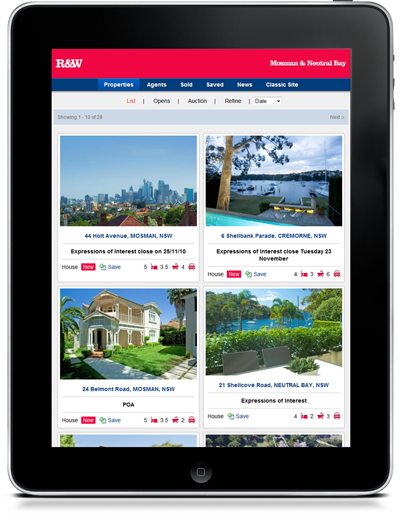 Your own iPad optimised website to promote your property listings, sold properties, team member profiles and latest news items. 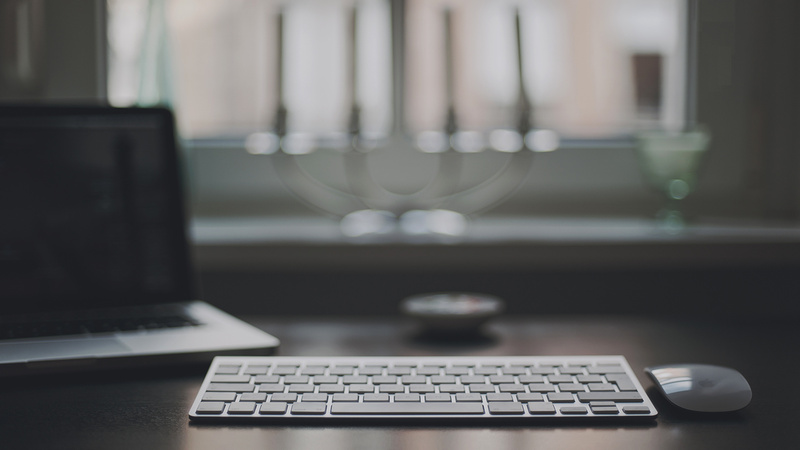 We’ve used the latest in WordPress technology delivering a solution at a fraction of the price you would normally expect to pay for a specialist iPad real estate website. For an unbelievable fee of $450 you can have your own iPad real estate website branded with your agency logo and colours and situated on any domain you’d like. Easy Data Integration – Your properties are seamlessly integrated into your iPad website through XML data feeds from your existing CMS provider. Meaning you never need to double handle listings as when you load them to your existing provider they will automatically be sent to your iPad website. Agentpoint currently accept properties from MyDesktop, Hub Online, ReNet, Multi Array, Rockend (REST), MyPackage, Box + Dice (BOOM) and Zoo Property (and we’re happy to hook up with any other providers). 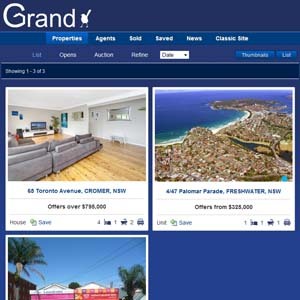 Promote Property Listings and Staff Members – iPad users to your site will have a unique experience as they can browse all of your properties saving those they like to their favourites, sharing them on social networks or emailing them to a friend. 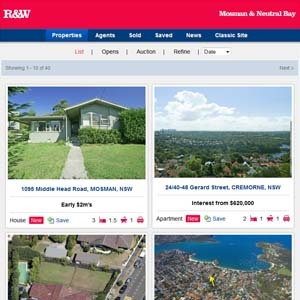 Users can easily browse your greatest assets (staff members) and see their profiles, social network links, testimonials, current and sold property listings along with being able to quickly call, sms or email an agent. 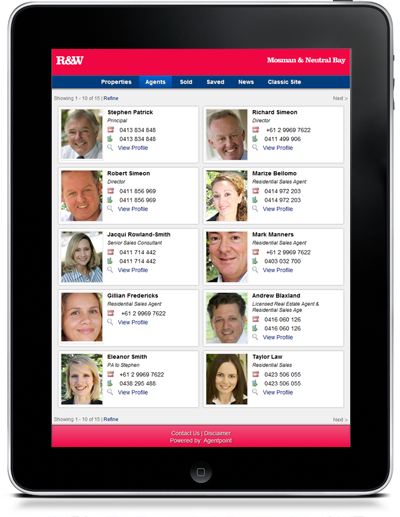 Capture User Contact Details – All iPad websites are configured with iPad web forms which users fill in to contact you. You will never miss an enquiry again as all the data submitted through forms are emailed directly to the agent along with being saved in the iPad website database. The details of users who complete these forms are saved to a Contacts section which can then be remitted back into the CRM system you currently use. Monitor iPad Browsers – Keep track of the number of users who browse your iPad website. All sites are installed with Google analytics along with our own custom analytics for each property. This information along with contact details for enquiries can be formatted into a report which can be sent to vendors or used within your agency. Enter the following URLs into any mobile phone web browser and you’ll see the mobile phone website automatically appear.